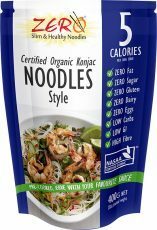 ZERO Slim & Healthy Noodles are the Australian producers of certified organic Konjac Noodles, Rice & Pasta. Not only are they calorie & carb free, they are totally allergen free – zero gluten, dairy, egg and soy! They come precooked and wok-ready for quick and easy meals that offer a range of health benefits. 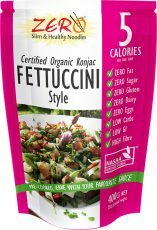 Perfect for the dieter, carb-conscious, paleo and grain-free eater.